After more than three decades of estrangement, Riot Fest has done the impossible and gotten the godfathers of horror-punk, The Misfits, back together. Riot Fest has confirmed that founding member Glenn Danzig, bassist Jerry Only, and the band’s long-time guitarist Doyle Wolfgang von Frankenstein (yes, we know) will play together at both the Denver (Sept. 2-4) and Chicago (Sept. 14-16) versions of the festival under the name The Original Misfits. It’s the kind of booking few ever thought possible, given the band’s tumultuous history. Though the classic version of The Misfits broke up in 1983, tensions were ratcheted up as the years went on. After a lawsuit in the mid-’90s that granted Only the ability to tour and release music under The Misfits’ name (though he’d share the merchandising rights with Danzig), things only got worse. The two feuded publicly, and The Misfits lineup was continually in flux. In fact, its most recent version saw Only take on vocal duties and bring in his son, who goes by Jerry Other, to play with him. Through it all, Doyle was able to move between camps with relative ease. Given the fact he is Only’s brother, he initially showed deference toward The Misfits, playing and recordings with the band for years. 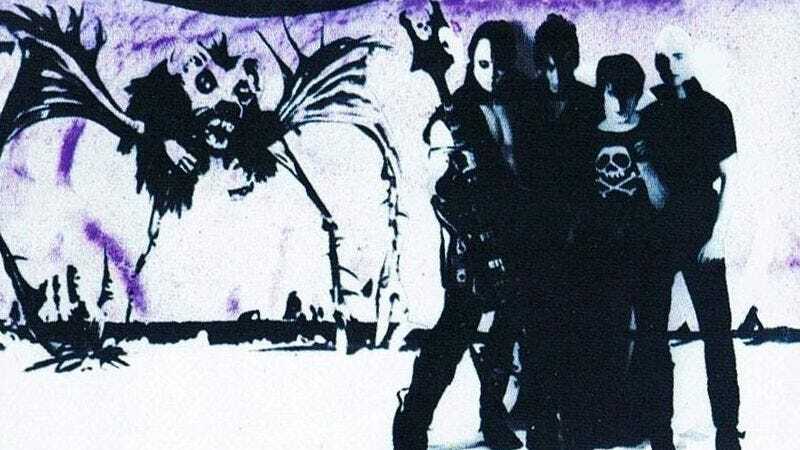 Then, he began to tour with Danzig during his run of “Danzig Legacy” shows, where the two would play Misfits songs together for the first time in decades. It seems that, somewhere along the line, those hard feelings softened and the three agreed to get the old, devilocked band back together. Or, perhaps, they realized there’s only so much more time to cash in before watching a 60-year-old man sing “Horror Business” gets sad. Whatever the circumstances may be, The Original Misfits will be playing Riot Fest, with the rest of the festival lineup to be announced soon.